« 1Touch IQ2 has a Finish to go with any Door Style! 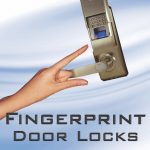 Fingerprintdoorlocks.com a division of Intelligent Biometric Controls (IBC) is a world-wide leader in supplying state-of the-art Biometric locks to today’s competitive electronic security market. Intelligent Biometric Controls have been a pioneer in bringing keyless entry locks to the residential and commercial markets since 2001. With the advances in fingerprint scanning technology it became clear, the security entry lock once only seen in science-fiction movies would be coming to your front door very soon. Seizing upon this Biometric revolution Fingerprintdoorlocks.com came out with their 1st generation 1Touch keyless entry lock in 2002. These biometric locks were an immediate hit with consumers. No one likes to carry keys around with them all the time. One of the greatest selling points of this new intriguing home security lock was its ease of operation. With the 1Touch on your door the days of fumbling for house keys while holding groceries or other items were a thing of the past. People could leave the house and go the park or a jog and not have the worry about carrying keys. Before too long the 1Touch locks were all over the internet. They were being sold by a huge number of “pop-up” web-sites and a constant auction item on EBay. In order to keep up with demand while maintaining a high standard of quality a decision was made to change the way the 1Touch lock was sold and marketed. Fingerprintdoorlocks.com redesigned their top selling biometric lock. The technical staff brain-stormed how to improve the pre-existing 1Touch platform and they succeeded in creating a newly envisioned, unsurpassed version of the biometric lock market leader. They call it the 1TOUCH IQ2. This newly designed fingerprint lock stays true to what made it such a hit with consumers, while added features seldom seen on such affordable biometric security products. The transformation of the 1Touch keyless entry lock into the 2011 1Touch IQ2 fingerprint door lock has brought to the forefront many new and exciting attributes, not available on the older models. This keyless entry lock sports more pin pad numbers than its predecessors. These numbers are conveniently placed together right above the scanner. It allows for easy button access for users of any age. A major development in fingerprint technology that made its way into the new 1Touch IQ2 has the ability to collect and track when users access the scanner. In the biometric field this is called an “Audit Trail”. The ability to tell when a person accesses a home or facility provides consumers with huge security advantages. If valuable information is stored in a server room you can track who has been in there recently. If valuable inventory or medication is missing from a storage room or cabinet, the people responsible can easily be determined. It even has residential applications. If a parent wants to know when their teen-ager “really” came home last week they can just “ask the lock to tell them”. IBC is a USA based biometric importer / distributor with over 25 yrs. of combined biometric staff experience. IBC offers only “best of breed” biometric access control solutions with a 30 day satisfaction guarantee on all its products.